Proactivo is a leading real estate company participating as a Developer or Strategic Partner on residential, commercial, tourist and industrial developments. The old website was a free non functional wordpress template, Proactivo asked us to create a custom and functional plataform. 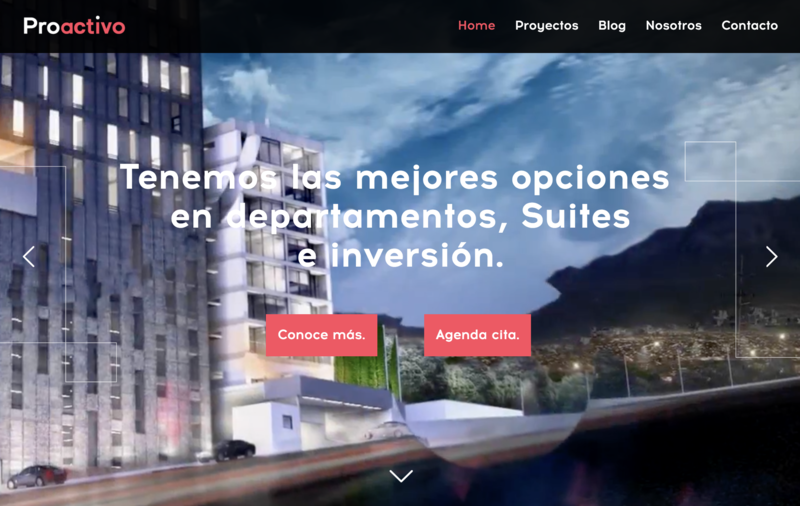 The task was to develop a business tool, in wich they could showcase projects, services and share tips and news for its actual customers and prospects. Understand and clarify the information. 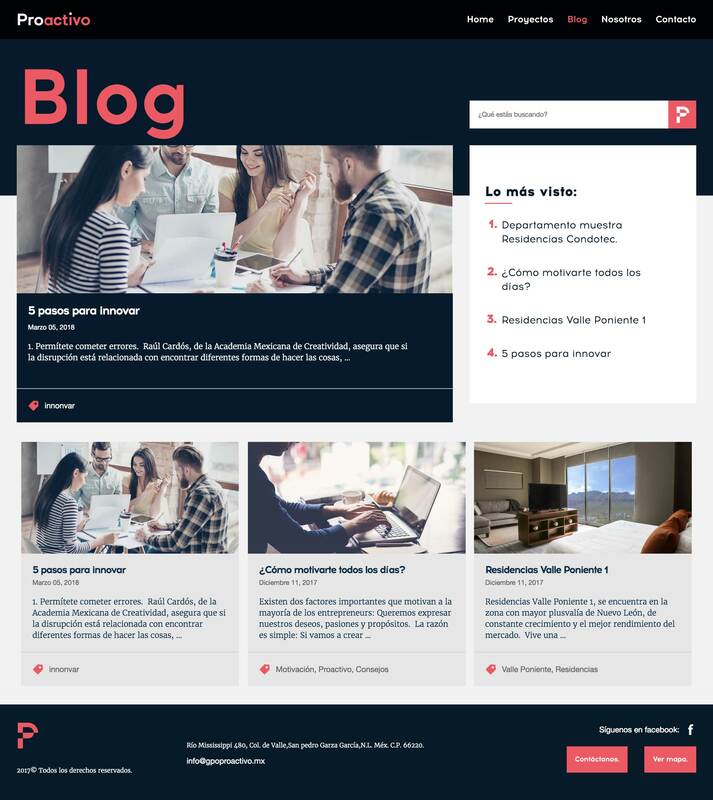 Our first challenge was to completly redesign the information structure, there was a lack of order and reading logic in the message that Proactivo needed to say to its customers and prospects in the old website. We merged the most important stuff in the home page, services and latest projects where the principal points to showcase. We also made easier for the users to stay in touch with Proactivo trough a global contact form. A beautiful designed card–like grid where the information reading flows naturally, displaying all the elements the users needs to see, from development description to availability, to photos an location. We designed and developed a custom Blog as a way to expand further the presence of Proactivo. In this blog Proactivo share tips and relevant information, looking to offer a richer experience to its audience. The whole plataform is integrated in one place to make easier the customization and creation of new content for all the sections of the website.